I hope you are doing well! If you missed my Facebook post last week, I’m trying to get into a new groove because I got a new job. So I’m trying to work out my schedule so I can still bring you great quality posts twice a week (for now, maybe more later). So just be patient with me at this time! Anyways enough of that, I feel like I haven’t talked about IPSY in a hot minute, and I really loved my bag this month, so here we go… keep reading to see more! IPSY is a $10/month beauty subscription service filled with lovely goodies in a super cute reusable bag. I have discovered some of my favorite products through IPSY. RIGHT NOW only you can sign up for IPSY and you won’t have to wait on a waiting list, you will get next months bag right on time. It’s a great time to sign up! 1 // Batiste Dry Shampoo in Blush: Batiste is one of my favorite dry shampoos of all time. It works amazing, doesn’t make your hair feel dirtier (you know the ones I’m talking about), and always smells good. With Batiste you do have to be careful because you could end up with white or gray looking hair if you don’t brush it out. See how to use dry shampoo here. 2 // Aila Cosmetics Nail Polish in Mister Pookies: I’m sorry but this has to be one of the weirdest nail polish names I’ve ever heard haha! I love the color though, it is a gray/brown color… perfect for fall! This polish is $17 btw, so your bag just paid for itself and then some with this one product! 4 // Starlooks Luxe Longwear Eyeliner Pen: I was so excited to get this in my bag, I have been HATING the liquid liner I have… I’m not gonna drop any names or anything *cough Benefit Push-Up Liner cough*. I have been wearing this nonstop since I got it and I love it! It’s super black, dries matte, and lasts all day long… that’s all I want in a liquid liner. It also doesn’t irritate my eyes, and my eyes can be somewhat sensitive. 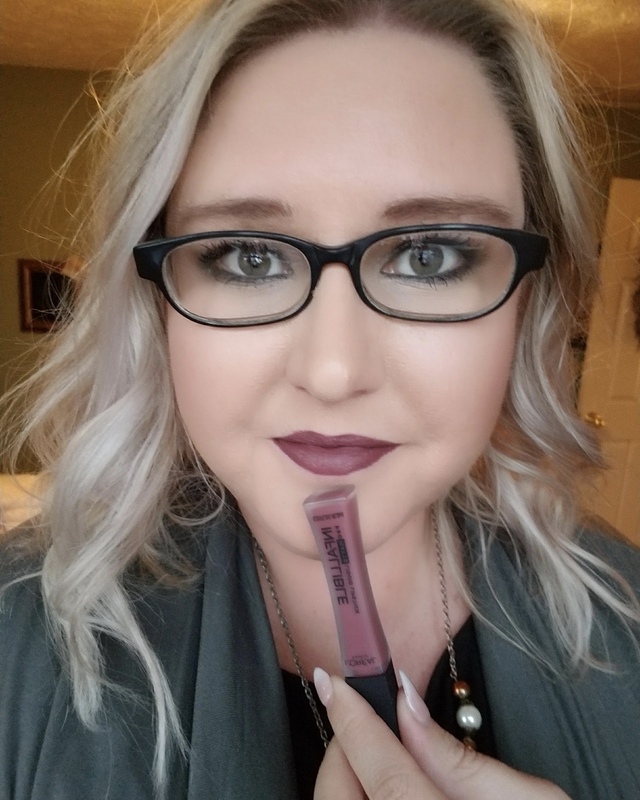 5 // Hikari Cosmetics Lip Gloss in Merlot: This color is stunning and absolutely perfect for the fall. I am not a huge lip gloss wearer, but I will definitely be wearing this. It’s so pretty!! This was a really great bag this month, it had things that I already know I love, new things to try, and essentials that I really needed. I love when that happens! Remember if you sign up now you won’t have to wait to get your first bag!! If you get IPSY what did you get this month? Find past IPSY Bag posts here! I’ve been wanting to try a beauty subscription service for a while. I’m leaning towards Ipsy because of you! You definitely should, it’s cheap and you get great things!! I think you would love it!! Your bag this month looks great! I love me some dark polish — especially during the fall because I can wear it without feeling totally out of place, haha! :-P Sorry to hear about the push-up liner isn’t working for you. I hope you’re going to post a review of it sometime — I’d be curious to hear what you didn’t like about it. I’ve tried it a few times in store at Ulta, and never liked it. I’ve been wanting to get a beauty subscription box. They seem so fun! Awesome bag this month! You just reminded me to check my mail! I hope I got tweezers too because, somehow I’ve lost mine…Also, congrats on the new job!